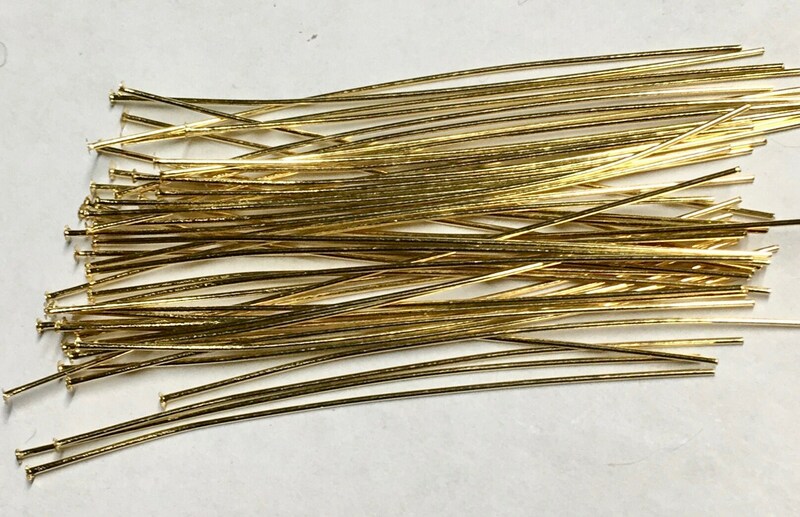 Gold plated brass 2" flat head pins. 24 gauge, thin head pins with a 1.5mm head. Gold Plated over brass. A jewelry maker's necessity!